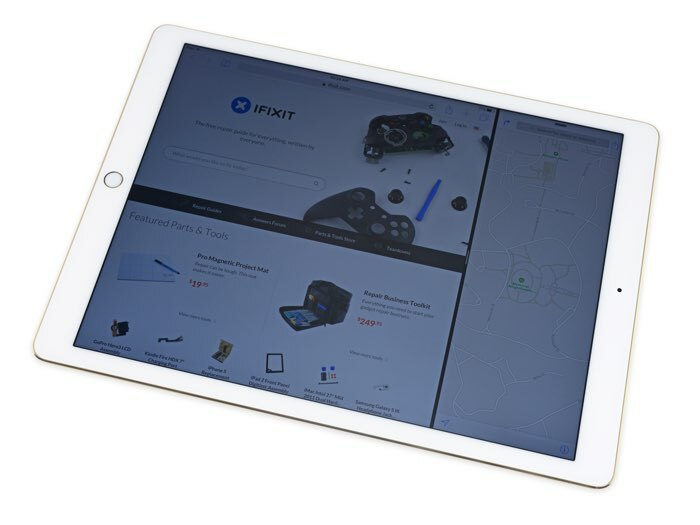 Apple’s new iPad Pro went on sale yesterday in Apple’s online store and now the guys from iFixit have managed to get their hands on one and have taken it apart. The iPad Pro comes with a 12.9 inch display that has a resolution of 2732 x 2048 pixels and the device is powered by Apple’s new A9x processor. Other specifications on Apple’s new iPad include a front facing 1.2 megapixel FaceTime HD camera and an 8 megapixel rear camera, the device also comes with a choice of 32GB or 128GB of storage, depending on the model. 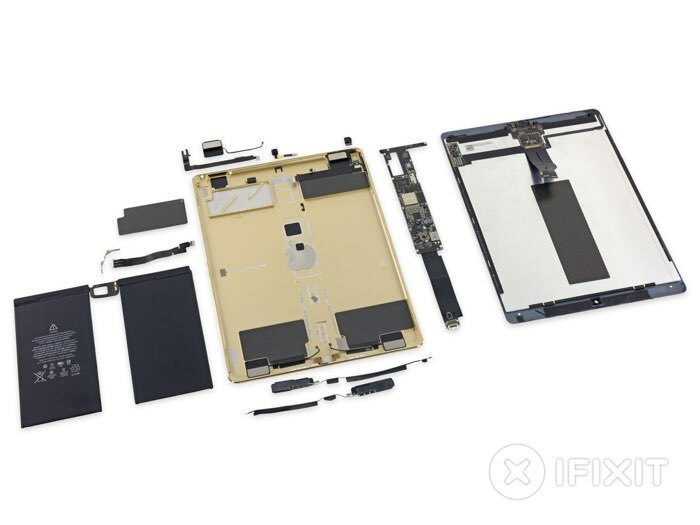 The guys from iFixit have taken the new iPad Pro apart and given the device a score of 3 out of 10 on their repair index, this means that the new iPad is fairly difficult to repair as 1 is the hardest to repair and 10 is the easiest. The reasons for the low score on the repair index are because the LCD and glass panel are fused together, this makes it more difficult to repair the screen on the device, also the smart connector port is ‘impossible to replace’, you can see more details over at iFixit at the link below.